5G will drive increased growth in an already growing wireless market, according to Lawrence Surtees, vice-president of communications research and principal analyst at IDC Canada. In his Canadian Wireless Services Forecast for the years 2017 to 2021, co-authored with Nikhil Anand, Surtees reports five percent revenue growth in the Canadian wireless market over this past year — which is only slightly decreased from 5.5 percent growth the year before. Subscriber growth, meanwhile, is a little below that, at almost 4 percent for consumers and 3 percent for business — an area where Surtees sees abundant room for growth. 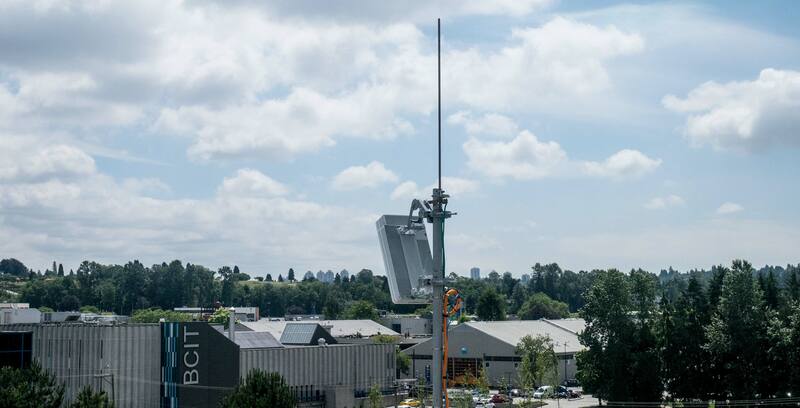 “My thesis is that having much greater wireless broadband capacity and speed [with 5G] will fuel bandwidth intensive business applications,” Surtees told MobileSyrup. Applications that are expected to grow and develop in the era of 5G include high-quality streaming video, autonomous driving and augmented and virtual reality, though the ‘killer application’ for this era is as-yet unknown. Surtees also noted that wireless substitution — the amount of telecom customers who swap out landline technology for wireless — is growing in Canada by close to 5 percent per year. That standard rate of wireless substitution will go up when 5G appears, predicts Surtees, driven partially by the business market and a workforce that now contains millennials as its single largest group. But while 5G and its higher bandwidth capacities may drive innovation and market growth, Surtees doesn’t think Canadians will see prices go down as a result — though the alluring concept of unlimited data may come to pass with the help of Freedom Mobile. Surtees explains that his prediction is backed up by the U.S. telecom market, which once shared a resemblance to the Canadian telecom space with its three major players being AT&T, Verizon and Sprint. The analyst points out that Canada also has a fourth large player with national ambitions that’s building out its 4G network: Freedom Mobile. In fact, Freedom already technically has unlimited plans — though at much-reduced speeds after the initial allotment. Surtees says that in two to three years, Freedom Mobile may prompt the Big Three to offer unlimited data after making waves with its own unlimited plans on a truly national 4G network. But though Surtees is fairly confident in this prediction, he’s certain there will be lots of new surprises in the era of 5G.